For those still hoping Google might have upped the momentum on Google Glass to get it out by the end of the year, seems like that dream is over. 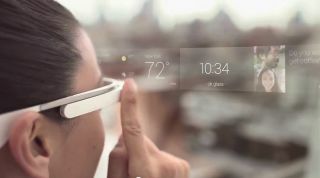 Sources speaking to Computerworld say that Google plans to make Glass available to consumers in 2014. An optimistic 2013 release date has been bandied about for a while, most notably at Google I/O, despite the fact that Eric Schmidt said back in April that Glass was still a year away from going mainstream. In that same month Google began sending out early versions of Glass to developers, giving hope that a late 2013 release for the general market might still be on the cards. Google clearly doesn't feel too much pressure from the emerging wearable market, and instead insists it is focusing on providing the utmost quality. But the road ahead for Glass is also fraught with privacy concerns and Google has already run into hot water with US congress among others questioning the ethics of the tech.. The UK's Department for Transport is considering a ban on Google Glass use by motorists and we'll no doubt see more actions taken to protect privacy and safety as we move into this brave new wearable world.